The Life of a Millionaire! Live it at the Taber Museum. 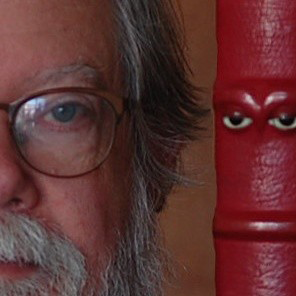 Like Trains? Visit the Shempp Model Train Exhibit. Explore the Impact of Lumbering on Everyday Life. 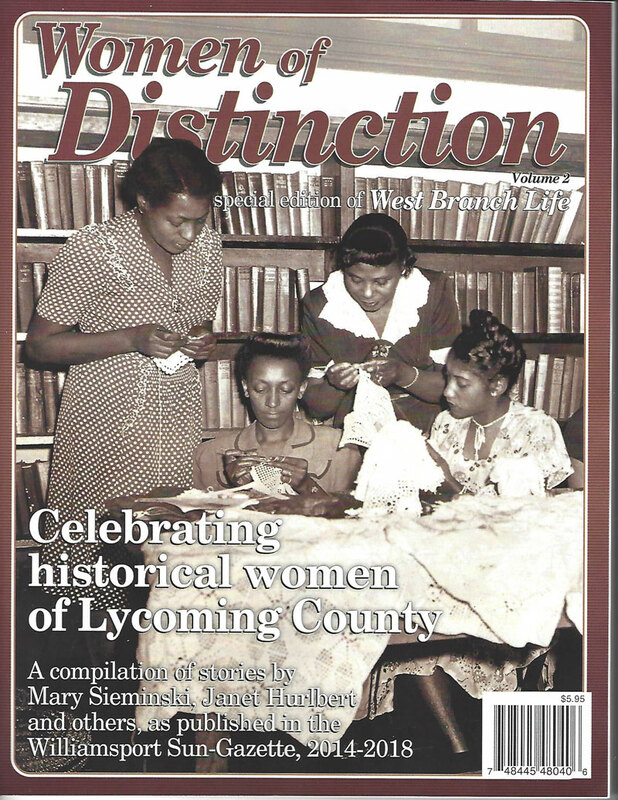 The Thomas T. Taber Museum of the Lycoming County Historical Society chronicles the history of our region from American Indian occupation through 20th century industry and life. 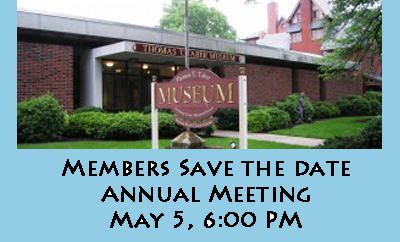 Exhibits include an American Indian gallery, a Fine and Decorative Arts gallery, the Shempp Model Train exhibit with over 300 toy trains, and period rooms depicting life from the 1700s through the 1900s. Exhibits change often, keeping the Historical Society fresh and interesting for every visit. 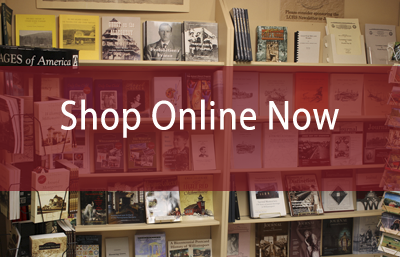 The museum also includes a local history and genealogy research library. AAA or Military discounts are available. 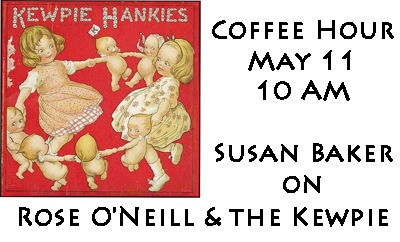 Susan Baker, "Rose O'Neill, illustrator, and the Kewpie"
Play Quizzo at the Taber Museum with John Mackey. Local history theme. Drinks and snacks.served. Deb Parsons of Parsons Hot Glass Studio with a demonstration of glass-blowing. "One person's trash is another's treasure." View All Upcoming Events . 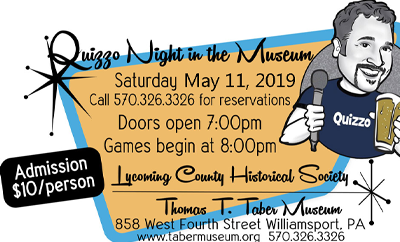 . .
Take a walk through time at the Taber Museum to learn about Lycoming County and its people. Here are just a few of the exhibits and period rooms that you will enjoy. 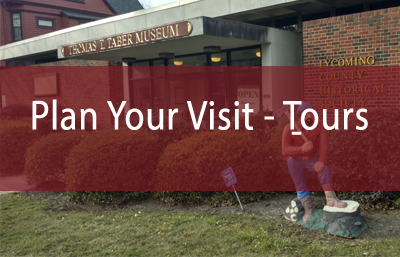 What's Happening at the Taber Museum? 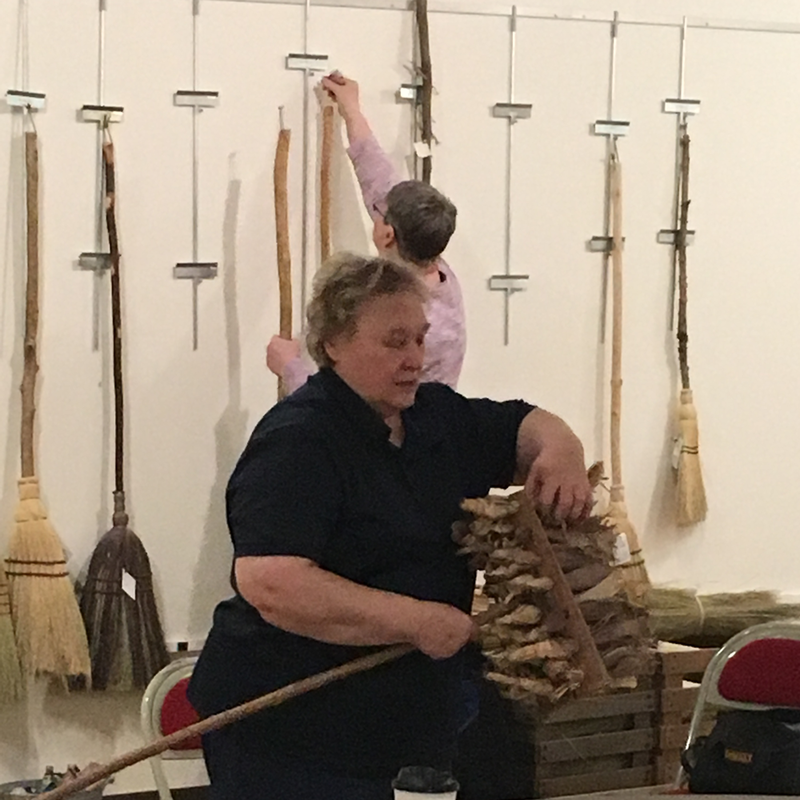 The Taber Museum held a Coffee Hour on Thursday, April 11, 2019 with a broom-making demonstration by sisters Barbara Barrett and Deb Lutz. 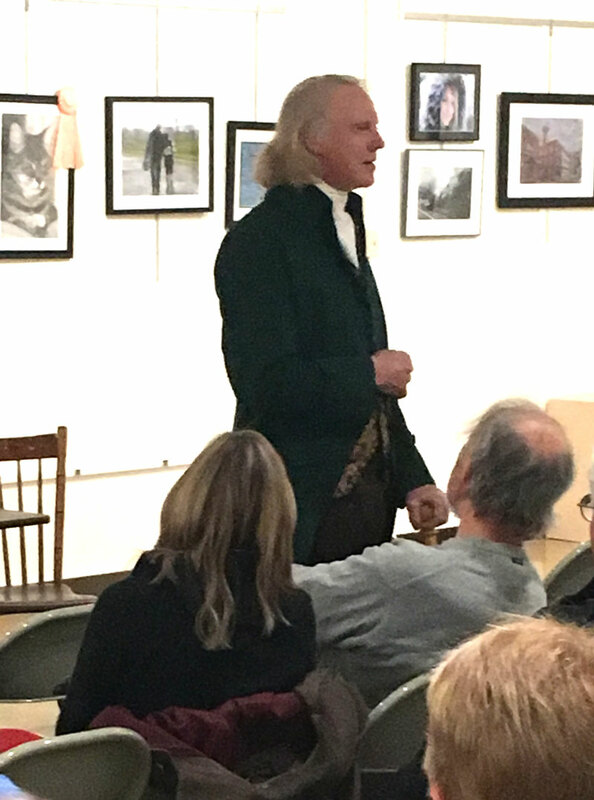 The Taber Museum launched its 2019 Lecture Series on Thursday, March 14, with a Coffee Hour,featuring guest speaker Don Rash who shared with the visitors the art of bookbinding. 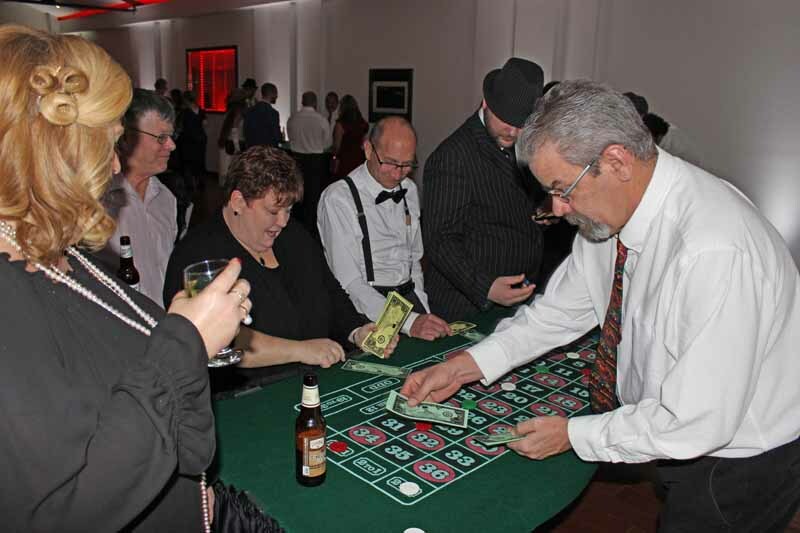 Flappers and gangsters returned to Farrington Place on the evening of Saturday, February 16, 2019, for a night of gaming, drinking and eating while raising money for the Lycoming County Historical Society.